The bathroom is perhaps the most heavily trafficked room in any home so it needs to be as safe and functional as possible but there’s no reason it can’t look attractive as well. 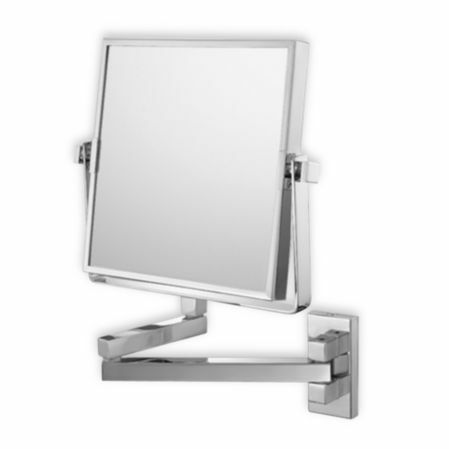 Things like a lighted bathroom or vanity mirror can not only make the room look larger, they can help to make grooming tasks easier. Other amenities might seem like luxuries – things like towel dryers and warmers, but the reality is they are very practical. It’s wonderful to emerge from a bath or shower and surround yourself in a hot fluffy towel but with a heated towel rack you can also dry fine washables and swimwear, warm blankets and baby clothes, get damp mittens and scarves toasty and warm for another round in the snow or just rest assured knowing that your towels will dry faster. A towel warmer can help to reduce the potential for mildew and it can take the edge off a cool or damp bathroom. Perhaps one of the most practical additions to any bath or shower is a hand held showerhead; most can be installed without the assistance of a plumber. A handheld showerhead makes it easy to shampoo hair, bathe children, wash pets, water plants and clean the tub or shower enclosures. Add a shower seat or bench and enjoy a relaxing shower while seated; this is especially helpful when you are dealing with an injury because a handheld showerhead lets you direct the water spray precisely where you need it. Always look for rugs with anti-skid backing or purchase anti-skid backing separately to reduce the possibility of slips and falls.